Seen across the world in National Geographic and countless other publications, Stian Klo captures the elements of Norway in stunning beauty. With a fine tuned eye for misty light and shadow, he creates sweeping landscapes that dream of a planet away, rather than here on Earth. He is a part of the Lofoten Tours team, taking people on out-of-this-world photo tours and workshops in Arctic Norway. 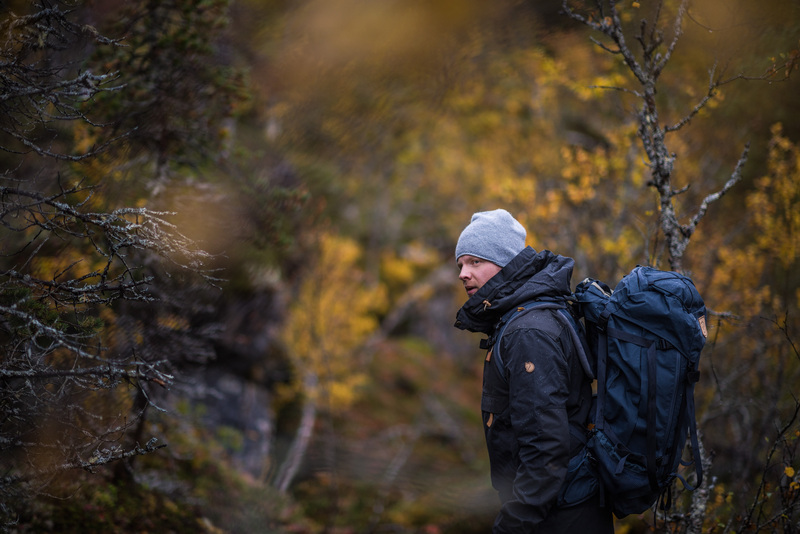 Stian is also a brand ambassador for Swedish outdoor clothing company, Fjällräven. Elias Visuals – how long have you been doing photography and what got you started in this field? Stian Klo – Well I’ve photographed since I was a teenager, but only for fun via phones and my brother’s cheap camera equipment. It wasn’t until 2009/10 that I started taking things seriously. I was sick for a very long time and had to rely on heavy medication for almost half a year – I woke up and one day and decided I needed to do something different than taking these meds and forced myself to spend five minutes outdoors, then ten minutes, then fifteen, etc. After about six to seven months I was feeling a lot better and being outdoors so much showed me how beautiful nature was and I wanted other people to experience what I experienced… that’s when I started for real looking for appealing compositions and studying hard (via tutorials and books, no school). How does being Scandinavian influence your work? SK – I can only speak of how my situation influences my work …I’ve pretty much grown up with having nature on my doorstep, so if I want to go on a little adventure all I have to do is put my boots and walk 10 meters from my doorstep. It’s always been like this and I wouldn’t change it for the world. Are there elements of your photos that represent Norwegian values / way of life? If so, why? SK – Good question! I guess Norwegians are known for being very laidback, relaxed and in touch with nature. I try to capture glimpses of everyday life up here, and at the same time show people how close we live to both the nature and weather/climate. Hopefully that shines through in my work. What are three pieces of non – photography gear that are essential to you in harsh conditions? SK – Water-resistant clothes, waders and microfiber cloths! Can I do four? COFFEE!!! Do you ever have “A-ha!” moments that leave you giddy with excitement? When was the last time this happened? SK – I recently purchased a new apartment with my girlfriend, when we re-modelled I had tons of those moments when finally figuring out how to do things! What is the best food you’ve eaten recently? SK – Home-made Italian pizza with white sauce, fresh basil, prosciutto and mozzarella… and, of course, some beer (Erdinger weissbier or home brew) to wash it all down with. SK – I’ve always had an attraction to go to the Antarctic, so I guess that would it. I would also love to visit Kamchatka in Russia, Denali or Alaska in general, and Nepal/Tibet. SK – Non-photography related … my father once told me I needed to find someone with who it felt good just being quiet together. It’s very soothing being able to come home to my girlfriend and relax without feeling the need to entertain or impress. Norway seems to have great light all the time due to weather. What are your favorite weather conditions? SK – I love winter 24 hours a day, and autumn for sunrise and sunsets. I am not a big fan of the warm summer pictures, which is strange considering that where I live we have the immensely beautiful midnight sun. Thank you Stian for your answers! Find more of his awesome work on 500px, Instagram, Facebook, and Lofoten Tours.